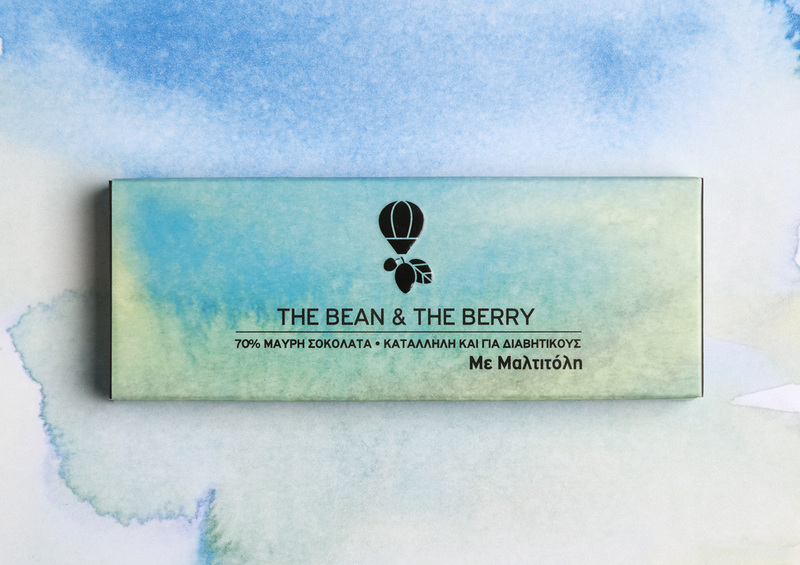 Τhe Bean & the Berry is a collection of handmade organic dark chocolates that contain superfoods. 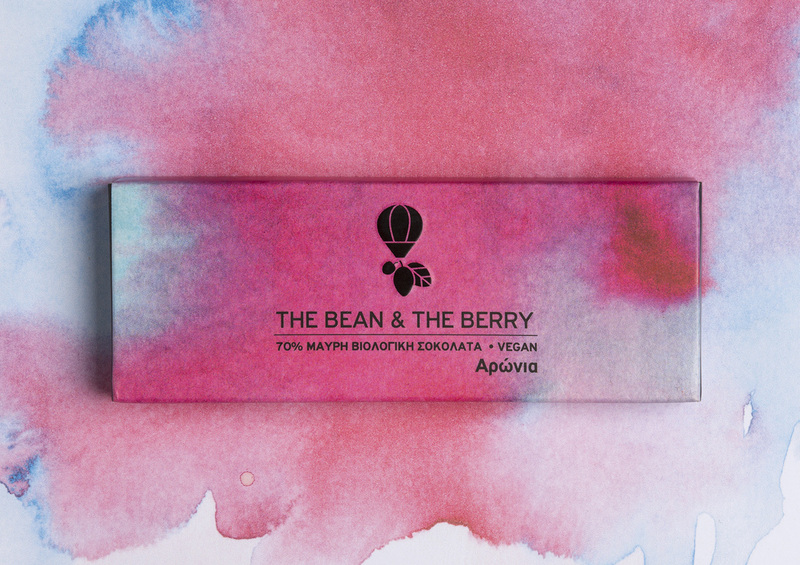 The brand name is a combination of the two main ingredients, the chocolate bean and the berry, a superfood included in most of the variety’s flavors. 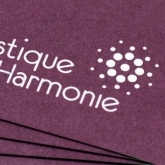 A balloon was added to the two main elements of the logo, spicing up the otherwise descriptive character with a dreamy, feather-weight insinuation of quality nutrition. 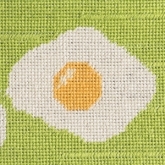 Consequently the brand tagline derived from the logo: “When a bean met a berry, they flew away with a hot air balloon”. 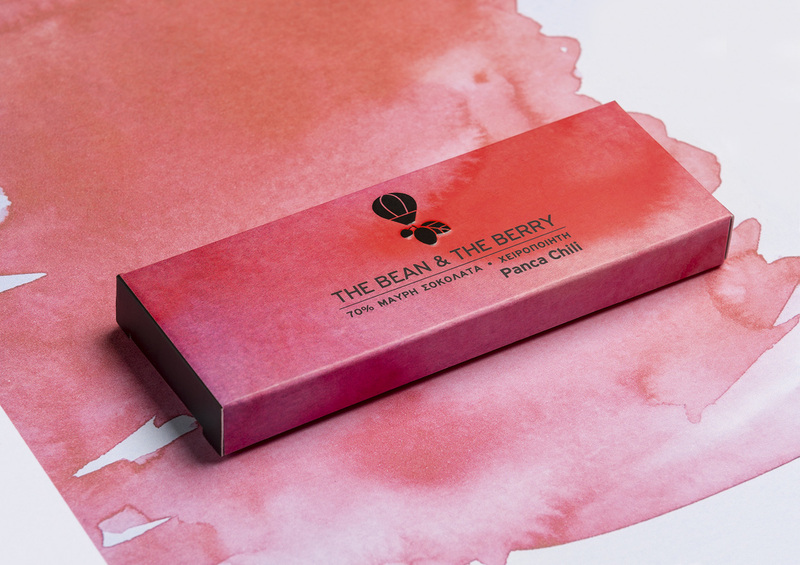 The Bean & the Berry is actually a small collection of chocolate bars, to which more flavours will be added in the future. 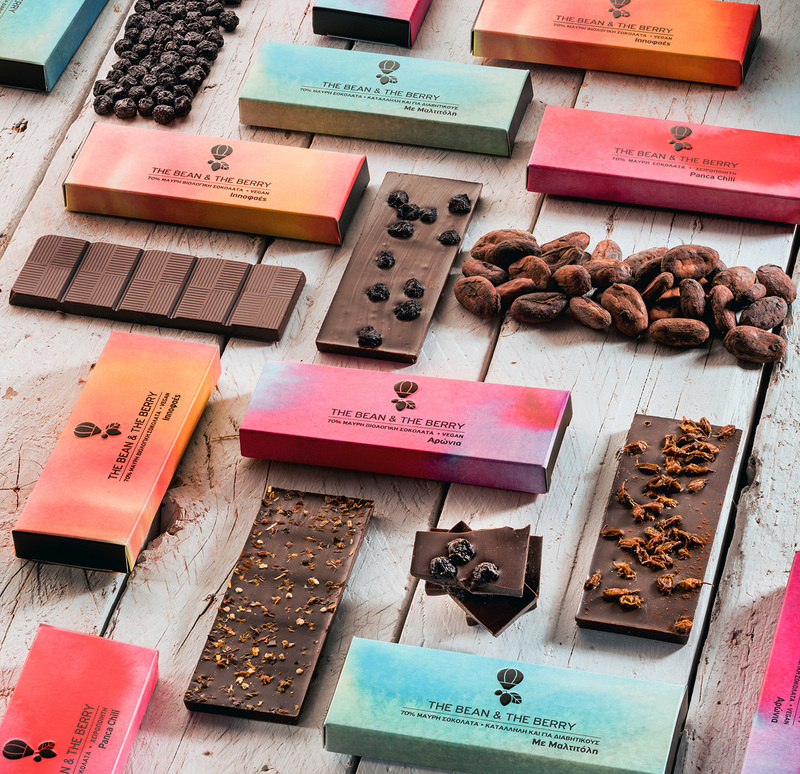 To accommodate this fact an organic concept was required; one, which would differentiate each bar and at the same time retain brand consistency. 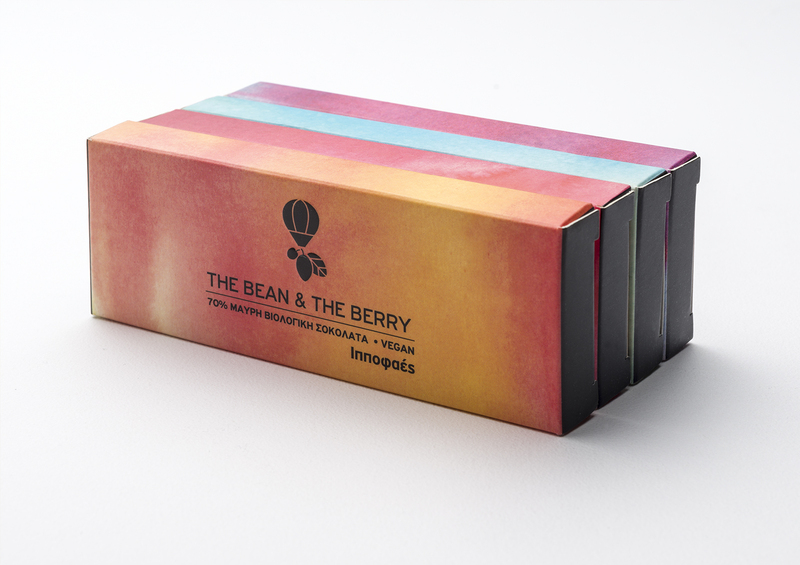 A system of colour-coded watercolour textures was used, based on the colours of the superfood found in each chocolate. 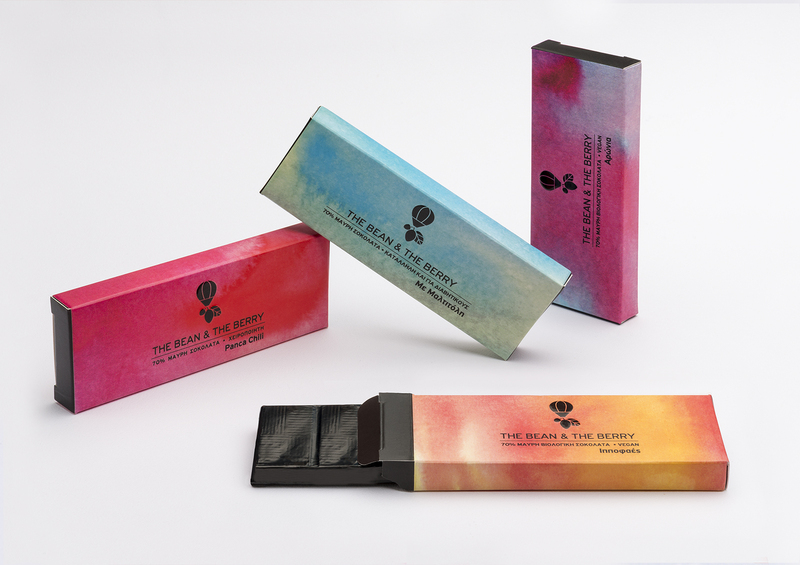 The handcrafted, flowing feel of the colours enhances both the quality and the handcrafted value of the chocolates. 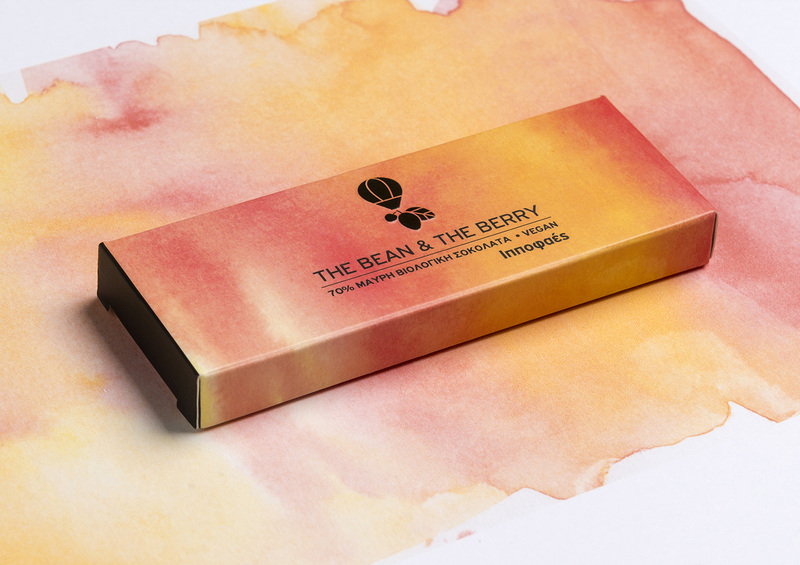 Specifically for the Maltitol flavour, which makes the product diabetic friendly and suitable to be sold in pharmacies, a cool colour pallet has been chosen to give the packaging a fresh and slightly medical connotation.